Born in the city of San Cristóbal, Táchira state. He began his musical studies at the age of 7 years in the System of Orchestras of Venezuela with classes of theory and solfeo, rhythm and flute. His first teachers of flute were the teachers Carlos Mendoza and Deysi Chacón. In 1996, when he was only 11 years old, he prepared for his first audition and after going through intense pre-selection rounds and eliminated to be part of the national selection “Orquesta Sinfónica Nacional Infantil de Venezuela”. With an international tour through countries like France, Italy and Brazil. Rossana Castro belonged to the national selection of the best musicians of the childhood age in Venezuela and stood out for being one of the best despite his young age. He had the honor of playing for Pope John Paul II in Brazil, in the city of Rio de Janeiro, specifically in the “Maracaná” stadium. In May 1998, UNESCO awarded each of the members of the National Children’s Symphony Orchestra of Venezuela the “UNESCO Artist for Peace” award, a distinction awarded to international personalities from the world of literature, music, poetry and Plastic arts that contribute to the promotion of UNESCO’s messages and programs. During the following years, Rossana consolidated her academic and musical training as a member of the main children’s and youth orchestras in Táchira state: from 1995 to 1996 she was the main flute of the Pre-Children Symphony Orchestra. From 1997 to 2000 she was the principal flute player of the Youth Symphony Orchestra. In the year 2000 after passing several rounds of audition she is selected to be part of the Symphonic Orchestra “Simón Bolívar” of the Táchira, being thus the youngest member and who was only 15 years of age at the time of her admission to the Orquesta Josué Dos Santos, Cesar Iván Lara, Cristian Vásquez, Alejandro Rivas (USA), Sergio Bernal (Colombia) and José Antonio Cerón (United States) Mexico), among others. His academic training continues in the Superior Conservatory of Music “Simón Bolívar” located in the city of Caracas under the tutelage of teachers José García Guerrero and Andrés Eloy Rodríguez. During 2010, Rossana Castro is invited to participate in the rigorous audition competition to join the Symphony Orchestra “Simón Bolívar” of Venezuela, directed by the famous and some of the best directors in the world such as Gustavo Dudamel; The result of the audition was qualified as outstanding allowed to form part from that moment of such an important orchestra. The Venezuela Symphony Orchestra “Simón Bolívar” is one of the most important orchestras worldwide and is among the Top 5 list within professional orchestras in the world. Its founder, the master José Antonio Abreu, who is the President and creator of the Orchestral System, now called FUNDAMUSICAL Simón Bolívar has been credited and deserved countless awards worldwide for the international projection and social work he has done, inspiring More than 50 countries to follow its model, that of including children and society through the universal language of music. In the year 2012 Rossana Castro obtains its academic title of Degree in Music of the National Experimental University of Táchira. From 2010 to 2015, Rossana Castro begins to perform international tours with the “Simón Bolívar” Symphony Orchestra of Venezuela. Among the most important tours are Germany, France, Italy, Switzerland, Sweden, Spain, Russia, Holland, Oslo, Austria, Turkey, London, Finland, Greece, Czech Republic, Portugal, Belarus, Poland, Belgium and the Countries belonging to the United Arab Emirates: Dubai, Abhu Dabi and Oman. International tours of the Asian continent: South Korea, Beijing and Tokyo and Latin American tours by countries: Mexico, Cuba, Costa Rica, Dominican Republic, Colombia, Brazil, Chile, Uruguay, Argentina. It has been directed by the most famous conductors such as: Maestro Claudio Abbado, Sir Simon Rattle, Esa-Pekka Salonen, Giuseppe Sinopoli, Krystof Penderecky and has shared stage with international soloists like: Luciano Pavarotti, Rubén Blades, Calle 13, Oscar De Leon, among others and participating in the most prestigious festivals of classical music as: Festival of Salzburg, BBC Proms, Lucerne Festival and Prizes Grammy, where they maintain a nomination by the disc “Fiesta”. His participation in the recording of more than 5 discs as main flutist of the Symphony Orchestra “Simón Bolívar” for the international record label Deutsche Grammophon as well as Volume 1 of the “Simón Bolívar” Symphony Orchestra of Táchira under the direction of José Antonio Cerón with the participation of guitarist Carlos Bonell (Spain). During the year 2012 she participated in the 11th Festival of the Brazilian Association of Flautists (ABRAF) where she is deserving of recognition for her outstanding participation and her performance as a soloist in the final concert of the same. 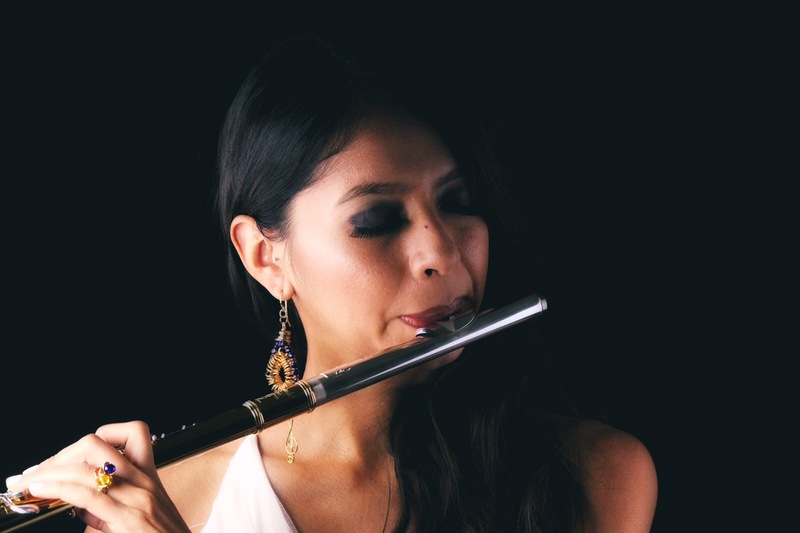 As part of his training and perfection of the flute, Rossana Castro has received classes with countless teachers of recognized national and international trajectory such as: José Antonio Naranjo, Maria Fernanda Castillo, Luis Julio Toro, Huascar Barradas, Nicaulis Alliey, Enver Cuervos, Javier Montero, Marcos Granados (USA), Phillip Bernold (France), Benoît Fromanger (Germany), Peter Lukas Graff (Italy), Davide Formisano (Italy) and Rogerio Wolf (Brazil). During the last three years of her musical career, Rossana Castro has also focused on flute teaching, training at least 50 children of the Venezuelan Orchestral System as well as the renowned “Emil Friedman” College in Venezuela. In 2014, UNESCO appoints each member of Simón Bolívar as “Peace Ambassadors”. In the year 2015 she moves to the city of Miami, Florida, where she has installed her Flute Academy having numerous children in her chair as well as participated as a teacher of musical initiation and flute in several musical programs in Miami. He has also ventured into some of the most important South Florida orchestras such as South Florida Symphony. Currently he is in the recording of the first album of Fundamental Duo, a unique instrumental proposal that fuses academic music with the current rhythms of urban music. “The musicians of Venezuela’s Simón Bolívar Symphony, along with their charismatic director, were a flame of exuberance during their two concerts, completely exhausted at Carnegie Hall.” Tommassini. (The New York Times, 2012).